Versatile in use (e.g. bucket work, levelling work, loading work). Goods, such as large stones or brush, can be easily picked up and dumped by using the gripper function. Can be opened for emptying, which increases the dumping height. 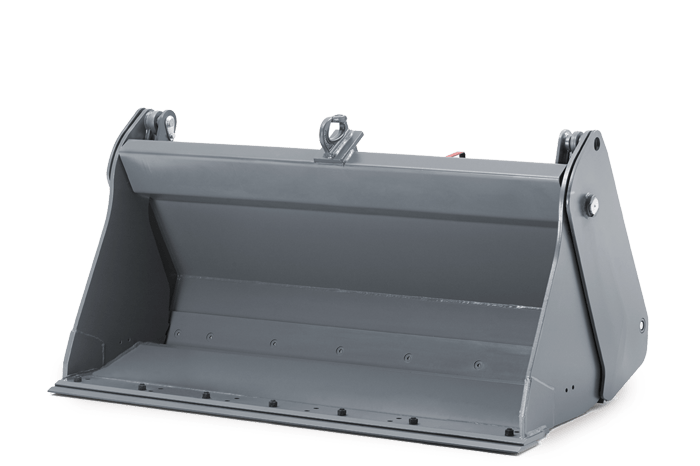 Low-wear scraping edge made of Hardox 400.